Efficiently delivering your services and value is critical to moving your business forward. In today's environment of market pressures, financial professionals rely on our guidance, scalable solutions, and fully transparent platform to help build and maintain an efficient retirement plan practice. 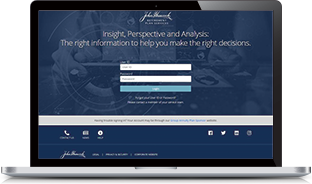 Ready to partner with John Hancock? Find your local John Hancock representative. Prospect and sell your value, helping you win business. Improve your current plans to grow assets and improve participant outcomes, helping you retain your existing block of business. 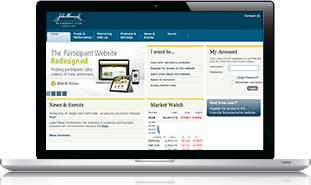 Familiarize yourself with the value we bring to financial professionals. We understand that with the constantly changing retirement landscape, it can be hard to keep up. We analyze industry data, studies, surveys, as well as data from our platform - and closely follow legislative and regulatory changes - and share our findings with you. For larger plans, a comprehensive, bundled retirement plan service with the ability to handle complex plan design and total retirement outsourcing (defined benefit, non-qualified plans, Taft-Hartley), all on an open architecture platform. Flexible 401(k) solution for growing plans that require flexibility in investment selection and a broad range of plan design features and services. Available bundled and unbundled. Simple and scalable retirement plan solution that helps small and mid-sized plan sponsors provide a healthy, successful retirement plan to put participants on the right track to meet their goals.